What if the most famous poet alive finds out his house has been trashed by a group of kids? What if one of those kids lives in a world where everything has a voice? What if poetry is a matter of survival for them both? "Hawes’ simple, lovely poetry illustrates Sarah’s inner journey as her rocky relationships with estranged parents, friends, and boyfriend change. This is a tale of forgiveness, listening to the world, and looking beyond the surface." '"Full of poetry and ideas, Sarah’s narration has an exuberant innocence, bringing a fresh and joyful quality to a story about a girl learning to love the possibilities that come with independence: the chance to discover one’s true self and desires, while forging a path forward that might fulfill them." 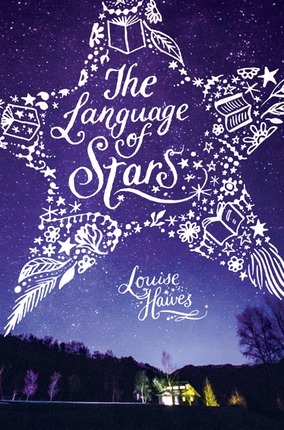 "Hawes excels in crafting rounded characters with varied home situations teens can relate to, and poems infused throughout the narrative offer poetic points of attachment as well as examples of different writing techniques (group- and free-writing, donning blindfolds, etc.) budding writers might attempt."